Wednesday February 6, 2019-Controversial Lawyer, Miguna Miguna, now wants former Jubilee Party interim Vice Chairman, David Murathe, to come clean and disclose the happenings surrounding 2017 General Elections. This is after Murathe confessed live on national television that nominations in the President Uhuru Kenyatta-led Jubilee Party were marred by fraud. He claimed that some unpopular candidates were given party tickets at the expense of strong candidates, particularly in Mount Kenya and Rift Valley regions. Murathe accused Deputy President William Ruto of being behind the rigging. Following the yesterday’s revelation, Miguna has asked Murathe to come out and publicly admit that even the last two general elections were manipulated by Jubilee Party leaders-President Kenyatta and his principal assistant, William Ruto. "Well, well, well, that's true. 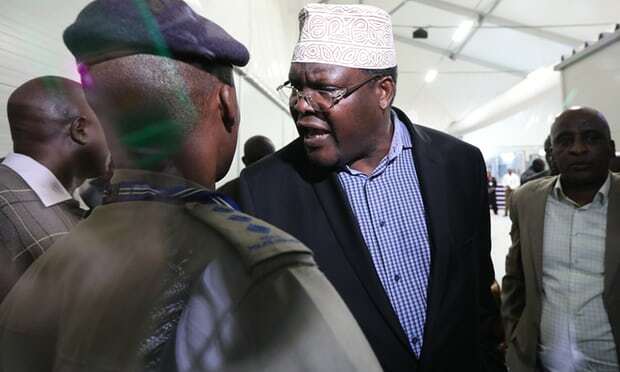 Now, go on and openly admit that your master, Uhuru Kenyatta, was the chief architect of electoral fraud in Kenya in 2013 and 2017 - deputized by Ruto," Miguna wrote on social media.